For those of you with a pedigree of railways and railway films, the quote above will be all too familiar. The Titfield Thunderbolt’s inspection run crewed by the dog collar brigade, grey shirt at the controls, purple shirt firing. As you may have noticed from my earlier posts I do like an oddity or a might have been. 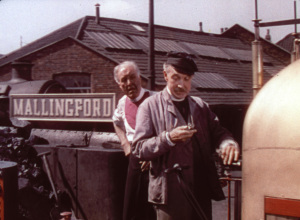 One day I would like to produce the Titfield Thunderbolt set but the title of this post is actually because I want to discuss a might have been linked to bishops – the Great Western Cathedrals. ← UK Heritage Hub Issue 42 now ready to download!